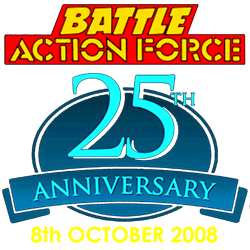 Battle Action Force 25th Anniversary Prize Draw- BLOOD FOR THE BARON!!! 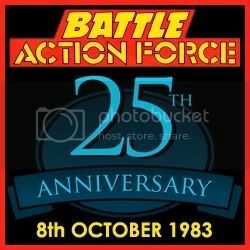 As you're probably aware, the 8th of October is the 25th Anniversary of Battle Action Force. I'd like to hold a prize draw for the members of the BloodForTheBaron forum, with the results to be broadcast on Youtube. How about if every member here contributes a little something toward the grand prize? It can be a playworn figure or a MOC Minesweeper or a custom vehicle or a sticker sheet or a Battle Action Force comic or a page of fan-art or a copy of the Colouring Project book or whatever you fancy. We'll just make up a pile of goodies between us and then someone can either win the lot, or we can divvy it up into 25 separate piles or something. I am open to suggestions, although we only have two weeks to get this organised. 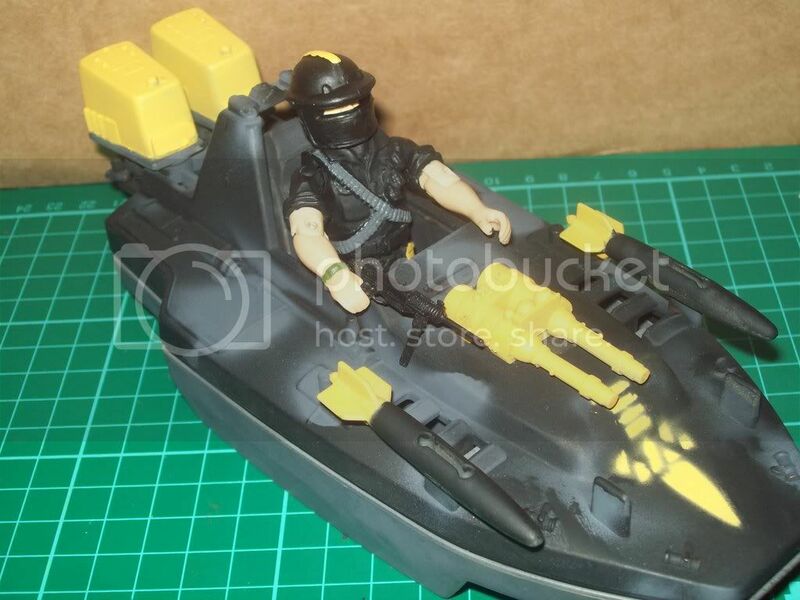 So, to get the ball rolling, I will contribute my Shadowcat custom (figures not included). nothing too exciting but I can throw a MOC Q Force Aqua Trooper in. Hope that's OK? How are we going to work this? Probably easiest to send all contributions to me. I think I'll have to send out a mass e-mail asking for members to acknowledge their participation - it would be sod's law for the winner to be Paul Gales! How are you going to decide the winner? You could do it on you tube, with a bingo machine and a drum roll!!! I'm going to use my Baron Ironblood mask! I'll have to figure out what I'll contribute as something I would have was stolen earlier this year, and I have yet to rebuild my Shadow and AF armies. It will either be a custom I'll build just for this or some BAF comic or paperwork. I'll give something good, and I'll post again in this thread when I figure out what it will be.